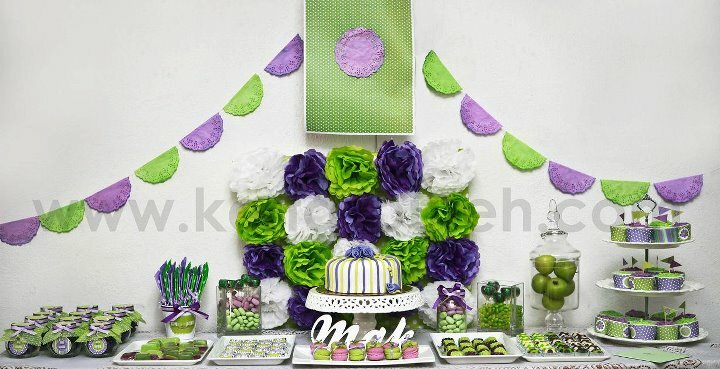 What a wonderful purple and lime green birthday party﻿ table set up, right? I didn't expect it to be so gorgeous when the daughter, Anis commissioned me to make her mom a birthday cake. 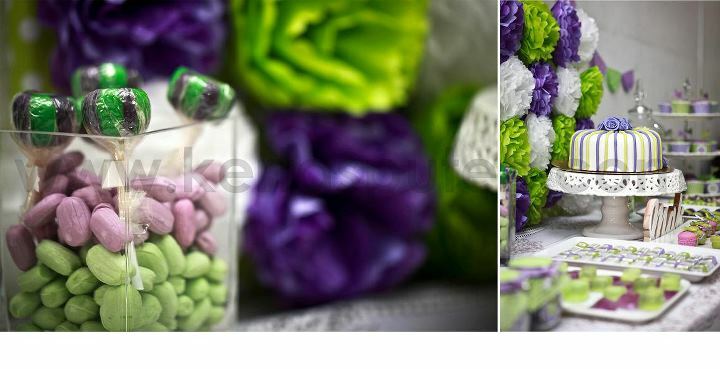 Yes, she asked for purple, lime green and white, no other colour! Hahah! I thought these colour combination were real cool and the simple design approach was my favourite, that's all. 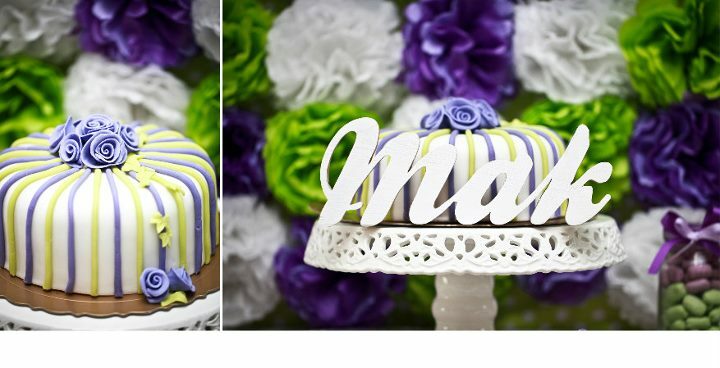 When Anis mms me picture of the cake about an hour after my delivery, immediately I said "wow", it was amazing! 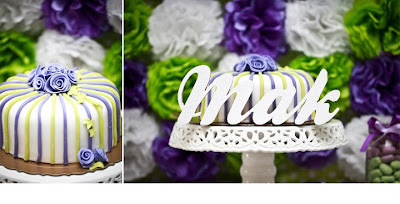 Not only my cake but all the treats or dessert displayed and the decoration were done in the same colours. Even the cupcake wraps were specially designed with purple and lime green with white polka dots. A sneak peak of the cake on beautiful cake stand and I love the candy pops and the kueh in the container, is that kueh bangkit? I am not sure. I would like to thank Anis for choosing our cake to be part of this gorgeous set up. Wish her mom a blessed and happy birthday too! Cheers! P/S: Picture courtesy of Kertas Puteh by Anis. Feel free to check out the website at http://www.kertasputeh.com/.